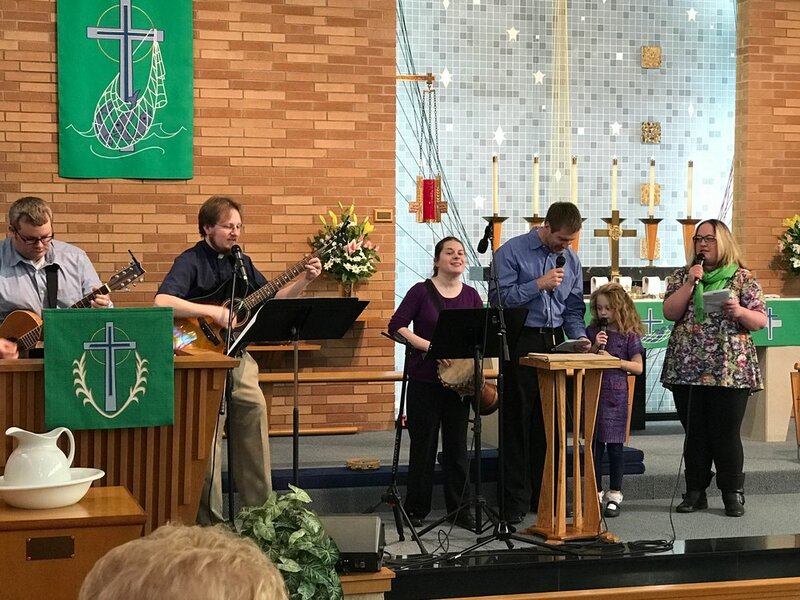 We gather at 10:30 a.m. every Sunday morning to connect with God and each other through worship, and you are more than welcome to join in! You don't have to have the Bible memorized or be a perfect person to come here -- just come as you are! God is happy for you to be here, and so are we. Children are welcome in the church service. Pastor Dirk does a Children's Sermon every week, where the kids are invited to come up to the front, to talk about faith, play a game, sing a song, or learn the Bible story in another way. We also have "Busy Bags" available for the kids, with coloring pages, pipe cleaners, and other fun activities inside. The worship service at Grace usually follows the traditional Lutheran liturgy, with communion offered every Sunday. Music is usually accompanied by the organ or piano, and sometimes Pastor Dirk gets his guitar out for a song or two! At communion, we have both wine and grape juice available. We also have rice wafers available for folks with wheat allergies. The communion table is open to everyone who wishes to receive Christ's body and blood.